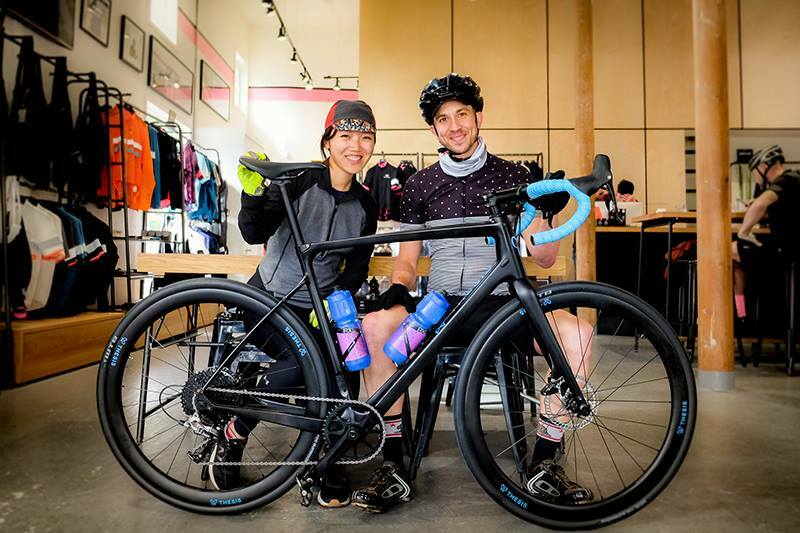 Today on the show I have Randall Jacobs and Alice Liu, founders of Thesis Bike, who are doing something truly innovative in the biking industry, and are creating "The one bike for every road - no compromises." Randall probably knows more about bikes than anyone I’ve ever met, and he’s been in about every role you can think of within the industry. Randall has been a pro mtb bike racer, bike mechanic, designer at specialized, a consultant and advisor to many large name-brand bike companies, and serial entrepreneur (he previously founded a bike tech company called Open Bike). Alice has worked for National Geographic TV on a series called Bridge the Gap, as a marketing director for a homelessness non profit, as Chief of Staff for a social innovation startup, and founded a 3,000 member meet up group in San Francisco called Green Drinks. Together, they have built Thesis into a critically acclaimed, exciting new startup - on a mission to change the way we buy and how much we pay for high-end bikes. Their flagship model, the OB1 is now available for presale via waitlist at thesis.bike. One quick disclaimer, this conversation gets a little nuanced. If you consider yourself a bike nerd, you’ll be in hog heaven, if not - hopefully you'll at least find it interesting like I did. Whatever your bike nerd quotient, you will definitely walk away with some solid advice and legit inspiration from innovative adventurepreneurs.